We are delighted to announce that we will be exhibiting at Casual Dining 2016, the go-to show for the Casual Dining Restaurant sector. Join us on stand U106 on the upper tier for a full demonstration of Platopus Retail and receive a free Platopus Retail pocket guide. 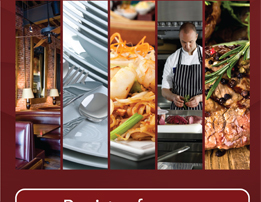 For more information on the Casual Dining Show, please click below.